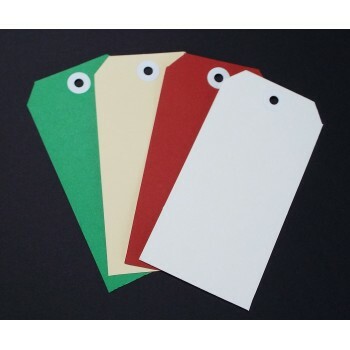 13.4cm x 6.7cm reinforced luggage tags. Pack of 8. 2 x green, 2 x red, 2 x buff and 2 x white in pack.